Happy New Year – Looking Ahead to 2015! Happy New Year from Chaos Created! 2014 was a really exciting year for us. At the beginning of the year, we launched Chaos Created Code – coding workshops for primary and secondary schools. Throughout the year, we’ve been busy speaking at TeenTech events all over the country, as well as visiting individual schools teaching pupils as young as ten about coding, and workshopping app and games ideas with them. We also moved into our new office in 110 The Quay, in Portishead, Bristol. 2015 is shaping up to be an even better year! We’ve been busy working on our upcoming mobile game, Bad Day for a Balloon Ride. The game will be launching in May 2015, and we’re excited about releasing it. It will be arriving first on Windows, iOS, and Android. We’re excited about expanding our app and games workshops, with workshops already booked for schools in London, the South West, and the North East. To book a workshop for your school, please contact us. 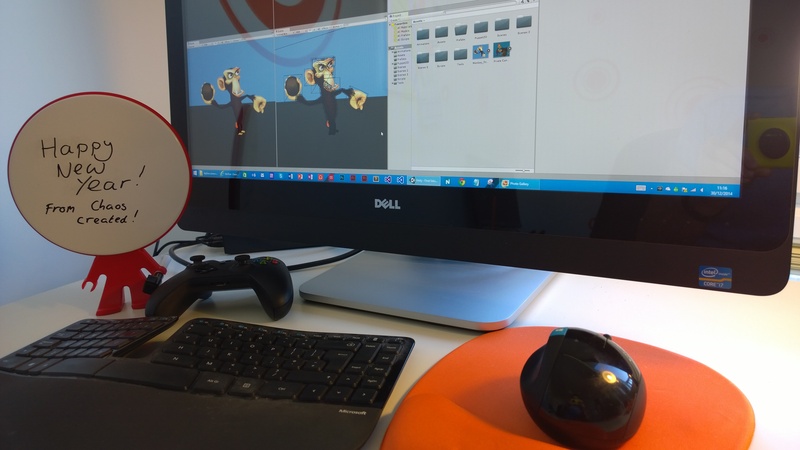 We’re also looking forward to working further with TeenTech in 2015, offering our app workshops and our brand new games development workshops to even more locations throughout the UK. We will also be continuing our educational games offerings in 2015. In early 2015, we will be launching some Chinese New Year activities and games for TES iboard. Later in the year, we will be rolling out new versions of our Langeroo apps and games on various mobile platforms, with cross-platform features, and new game types. If that’s not enough, we have a bunch of app and games ideas that we want to work on, in between all of the above. 2015 is going to be incredibly exciting. Thanks for all your support over the past year! Follow along on Facebook for the latest news, and we can’t wait to show you all the things we’ve been working on very soon! – The Chaos Created Team!